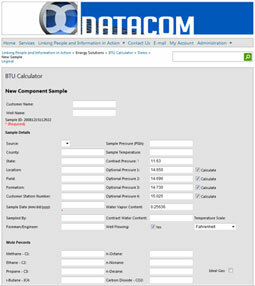 Now, with DataCom’s BTU Calculator, calculations can be done quickly and effectively. BTU Calculator can be used whether it is a stand-alone application or an API that is used in a program. Results are loaded directly into the database for better record keeping and reporting. Learn more today! Click here to contact us for more information about DC BTU Calculator.